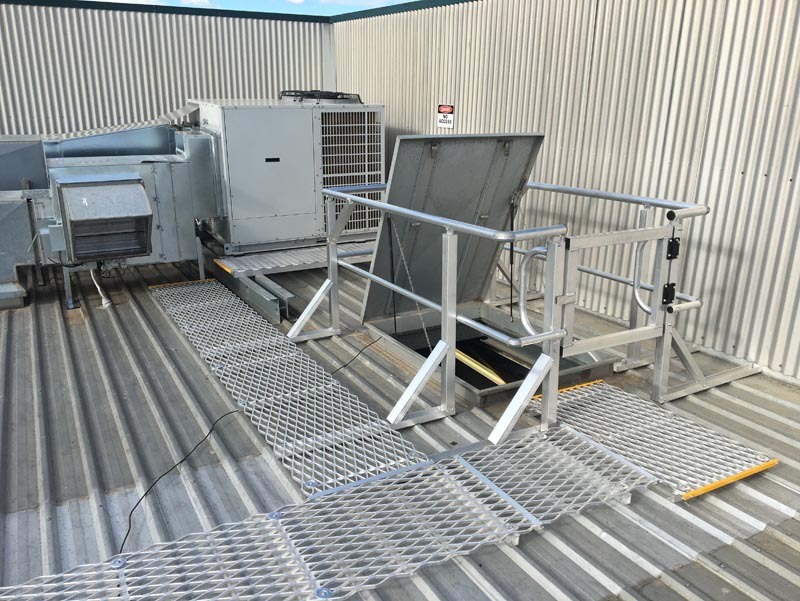 Safety Plus Australia’s roof access hatches are designed and installed to provide safe access to commercial roof areas from internal ladder or stair systems. Our access hatches are made from high quality zincalume steel and are designed with dual skin construction lid, one hand operated push lock and effortless and smooth opening gas struts. Safety Plus Australia can design and install a roof hatch that will suit any roof surface, any roof pitch and to withstand Australia’s harsh and varied climate conditions. If seeking additional information about our roof hatch systems, contact our expert technical team by emailing us at info@safetyplusaustralia.com.au or calling us on 1300 713 566. At Safety Plus Australia we know just how perilous working from heights can be. Without the correct protective measures and equipment installed even the slightest breeze can result in grievous bodily harm, and even death. Allowing direct, safe, and covered access to the roof, our Roof Access Hatches provide safe access to your roof through a ladder and roof access hatch system. The roof access hatch (with ladder) can then lead to a rooftop walkway and handrail system. The fully-qualified team of industry professionals at Safety Plus Australia work closely with our clients to help keep their employees safe from harm. That’s what makes us a leading name in access hatch ladder & roof hatch installations. 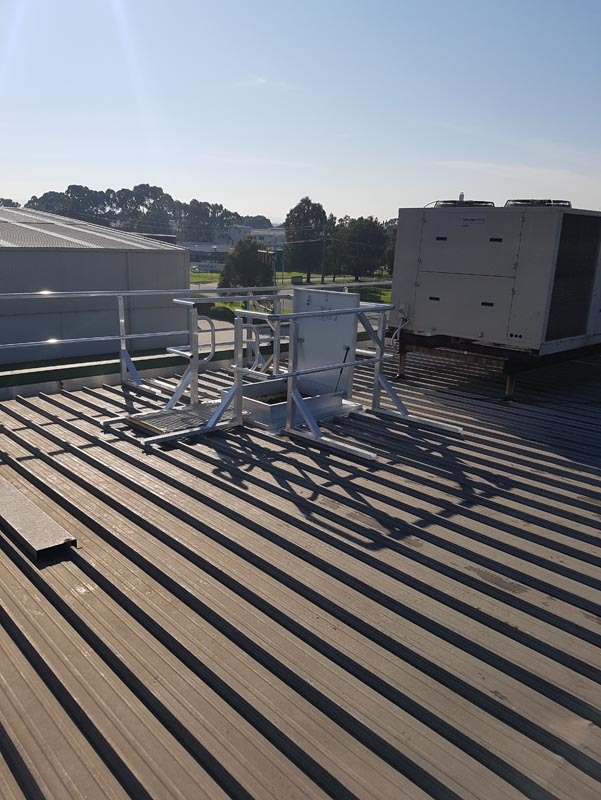 To find out more about our roof access hatches, you can reach us by calling (03) 9879 5230 or emailing our team at info@safetyplusaustralia.com.au. Providing reliable roof hatch installation, Safety Plus Australia is accredited and conversant with Australian and international standards for roof access hatch safety. With a Safety Plus installation, you can rely on us to individually tag installation once they’ve been fitted and tested for factors like weight-bearing & durability, helping to ensure you can stay up-to-date with regular recertification for your roof access hatch. Melbourne based, the Safety Plus Australia team proudly facilitate these recertification processes for past & present clients. 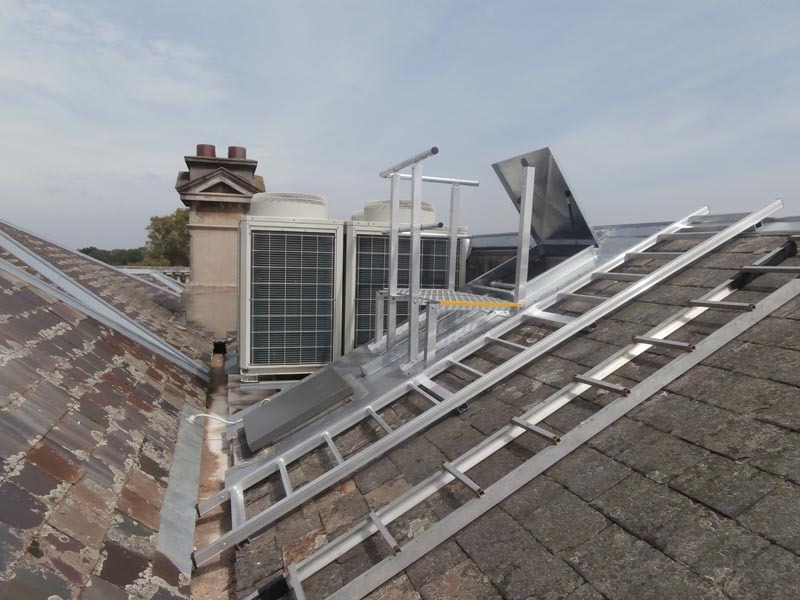 Made from galvanised and treated materials, to protect the roof hatch and related equipment from deterioration caused by wet and dry weather, our roof access hatches have been designed to deliver years of unmatched and unimpaired service. Whether you’re looking for roof access hatch, roof walkway systems, roof access systems, roof platforms, roof access ladders, static line systems, roof anchor points, roof handrail systems, flatpack products or more, turn to the Safety Plus catalogue for true safety and functionality. To learn more about our durable, safe, and reliable roof hatch access products contact our team today on (03) 9879 5230.